Are you looking for plants on the lower end of the maintenance scale, that can thrive in our soggy winters and bone-dry summers, and handle clay soil? Look no further than these garden-worthy native plants, and cultivated varieties of native plants. 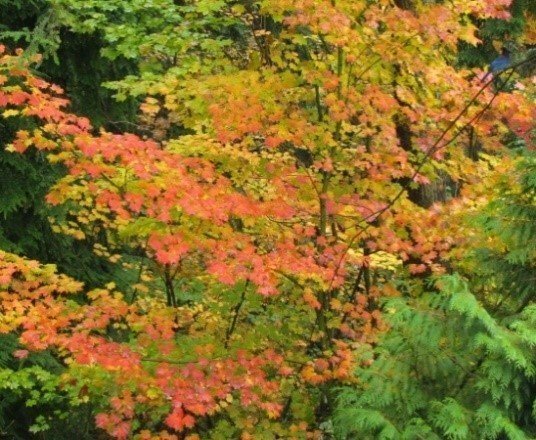 Vine Maple (Acer circinatum) is a beautiful small tree that is an excellent substitute for Japanese Maple. It is deciduous, with stunning fall color that is better with more sun, although this tree performs best in part-shade. 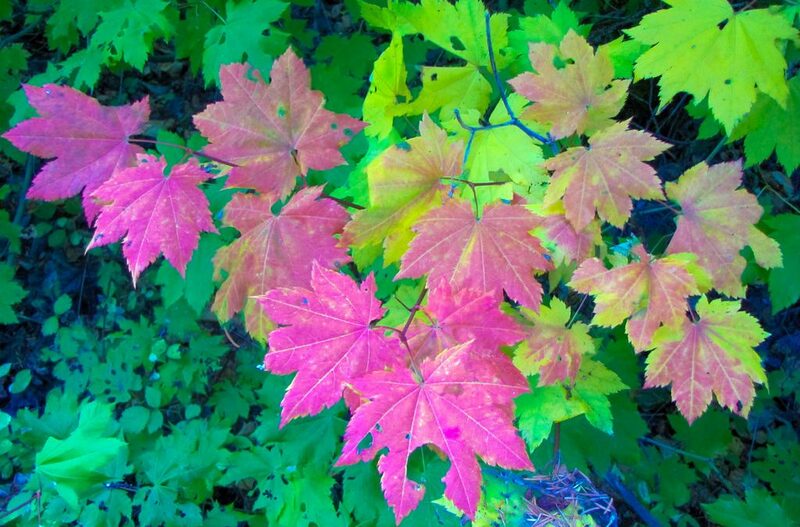 Vine Maple is often multi-stemmed, and grows to about 15 ft. tall by 10 ft wide. This understory tree is a great addition to a woodland garden. Like many Pacific Northwest native trees and shrubs, it grows taller in more shade and is more compact with more sun. Mahonia are indispensable evergreen shrubs that attract birds to their bright yellow flowers in late winter and blue berries in summer. While Oregon Grape (Mahonia aquifolium) is well-known, Mahonia x ‘Soft Caress’ is a newer variety with all the desirable Mahonia features, but without the spiny leaves. Soft Caress Mahonia is also compact, growing to 4’ tall and wide, and prefers part shade to full shade. Pacific Wax Myrtle (Myrica californica syn. Morella californica) is excellent as a hedge or screen. This tall, evergreen shrub attracts birds who like to eat its small nutlets and take cover in its foliage. Pacific Wax Myrtle can be pruned to shape, or left to develop into a small specimen tree. It grows 15 ft tall by 10 feet wide. 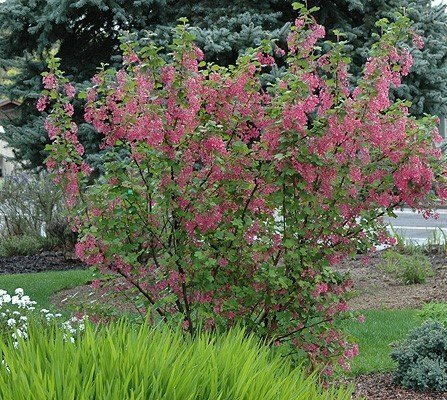 Plant breeders have developed colorful varieties of the durable Ninebark (Physocarpus opulifolius) that work well in sunny landscapes and even in hell strips (non-irrigated parking strips). 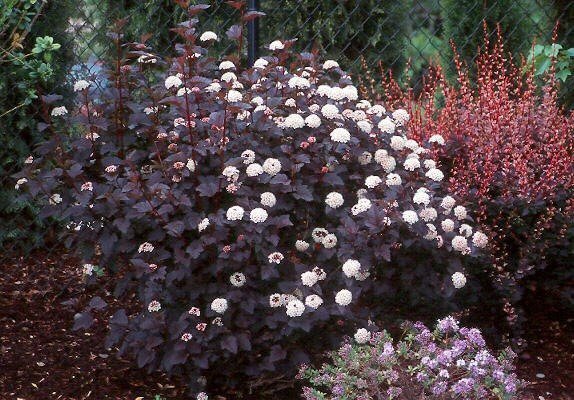 ‘Diablo’ Ninebark is large, growing to 10 ft. tall by 10 ft. wide, with dark reddish-purple deciduous leaves and white flowers. 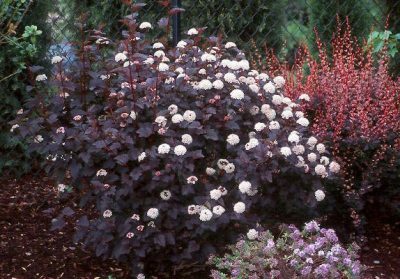 ‘Little Devil’ Ninebark offers the same dark foliage but is more compact and works well in urban yards, growing to 4’ tall and wide. Red-flowering Currant (Ribes sanguinium) is a hummingbird magnet, with bright reddish-pink blooms in early spring. In summer it provides both berries and cover that attract birds. ‘White Icicle’ Flowering Currant is a white-flowered variety with all the same great features. 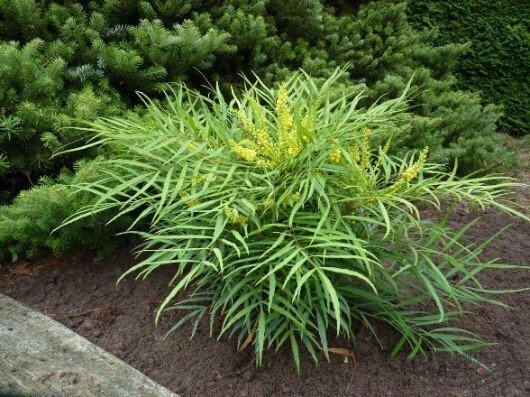 This large deciduous shrub grows to 10 ft tall and wide, and is adaptable and easy to grow in part-shade to sun. Evergreen Huckleberry (Vaccinium ovatum) is a versatile shrub that features colorful new growth, urn-shaped white flowers that attract hummingbirds, and delicious edible fruit in late summer. 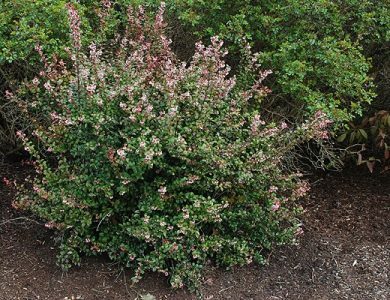 While not flashy, this plant is great substitute for boxwood, and works equally well in the ornamental landscape or the edible garden. Evergreen Huckleberry prefer a part-shade location. Blessing Landscapes can help you create a garden that incorporates these beautiful native plants. Contact us to schedule a consultation with one of our landscape professionals.